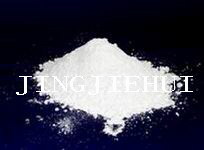 晶洁辉JJH硅酸锆zirconium silicate锆英粉zircon flour-JYS漳州锦源盛锆业有限公司Jinyuansheng Zr Industry Co.,Ltd. 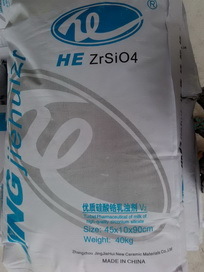 Zirconium silicate (molecular formula: ZrSiO4),for ceramic industry. 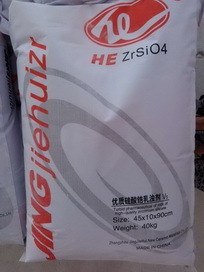 Producer :Zhangzhou jingjiehui new ceramic materials co.ltd. (subsidiary of JINGJIEHUI GROUP) made from Australia premium grade zircon sand. white emulsifier for interior tile, exterior tile, floor tile, dinnerware, sanitary, art ware, etc. Loading capacity: 25tons in 20feet container. Producer :Zhangzhou jingjiehui new ceramic materials co.ltd. (subsidiary of JINGJIEHUI GROUP) made from China standard grade zircon sand. International Standard Sea-worthy Exportable Packing suitable for transit by Sea Rail & Road i.e. 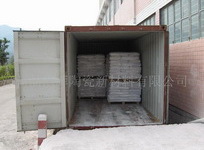 In 40Kg net Paper Complex Bags, On 1.5 MT one way Plywood Pallets.